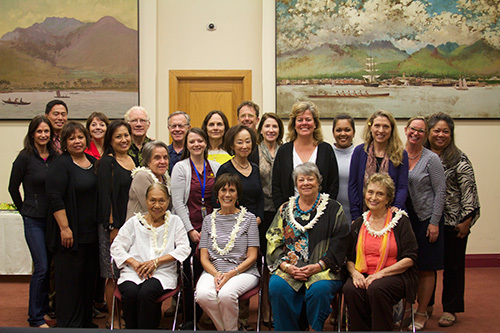 The Friends of Iolani Palace, a nonprofit citizens' organization, was established in 1966 to encourage the preservation and restoration of Iolani Palace. For over 50 years, The Friends has provided sustained action, guidance, and support for this important endeavor. You can join The Friends of Iolani Palace and help carry forward one of the most important legacies of the Hawaiian monarchy. You'll play an important and unique role in seeing that our distinctive Hawaiian heritage is perpetuated for the benefit of future generations. Your membership donations and contributions will help to support the ongoing work of preservation, conservation and education at Iolani Palace. Pay by Pay Pal: complete the Membership Application online. Please make checks payable to The Friends of Iolani Palace.